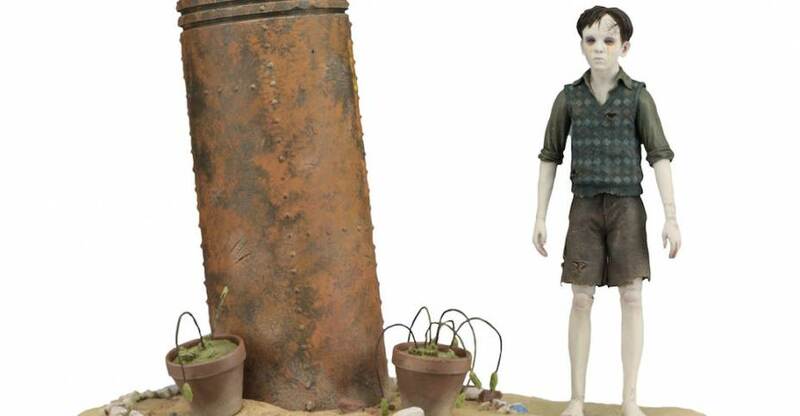 NECA has listed their new The Devil’s Backbone Santi 7″ Scale Figure on the NECA Ebay Store and the NECA Amazon Store. The figure includes a detailed diorama display base. Santi is part of their new the Guillermo del Toro Signature Series. It’s priced at $24.99 plus shipping. NECA is thrilled to announce a new collaboration with renowned director, Guillermo del Toro​! The new GDT Signature Collection will bring select characters from del Toro’s movies to life in premium action figure format with deluxe added elements. 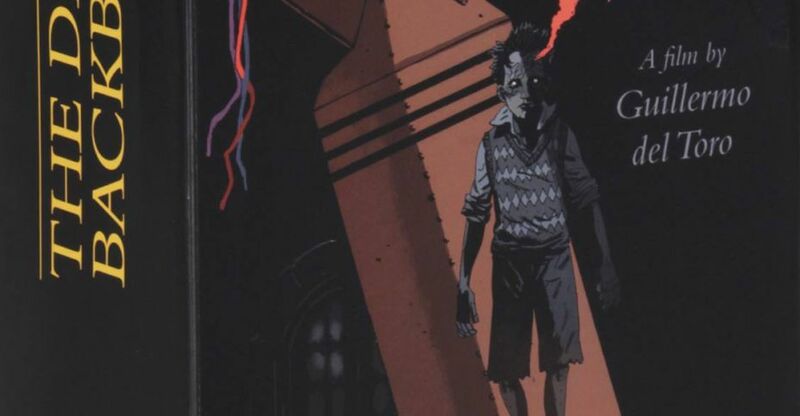 The first release in the collection is Santi, from the haunting film The Devil’s Backbone. “The one who sighs” is super-poseable and comes with a detailed diorama base featuring the bomb that falls into the courtyard of his orphanage. 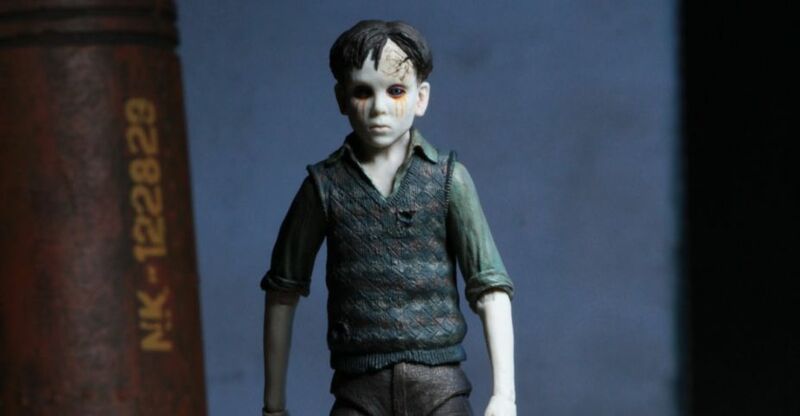 NECA has released photos of the final packaged Santi 7″ Scale Figure from The Devil’s Backbone. This will be the first retail release in the Guillermo del Toro Signature Series (with the Guilermo del Toro SDCC Exclusive being the first overall release). Future releases from the line will include characters from Pan’s Labyrinth. Santi is scheduled for release in early August. See the new photos by clicking the headline of the story. 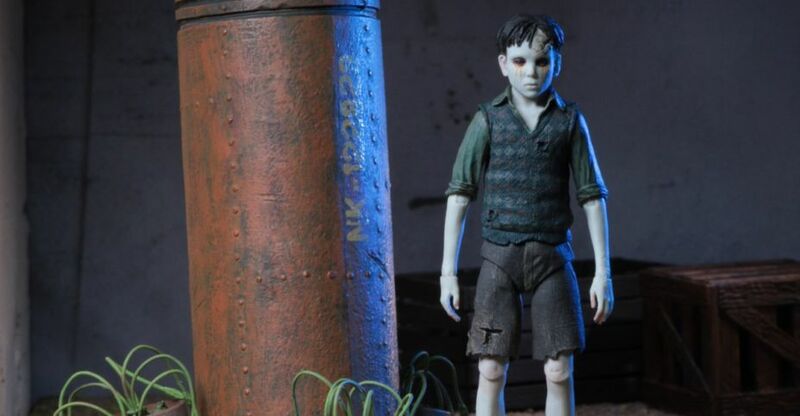 NECA shared some new photos of the final production version of the Santi 7″ Scale Figure from The Devil’s Backbone. This will be the first release in the Guillermo del Toro Signature Series. Future releases from the line will include characters from Pan’s Labyrinth. Santi is scheduled for release in August. See the new photos by clicking the headline of the story. At San Diego Comic-Con 2017, NECA launched their Guillermo del Toro Signature Series. 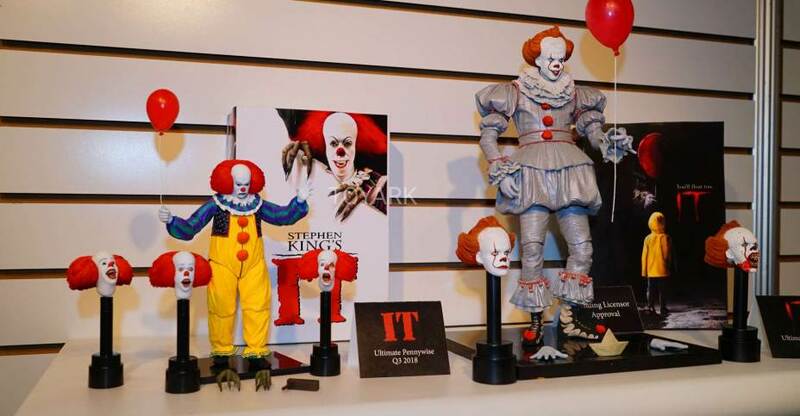 The figures will be based on characters from some of del Toro’s most famous works. Included was a Santi figure from The Devil’s Backbone. They have released official photos and details. See info below and read on for the new photos. 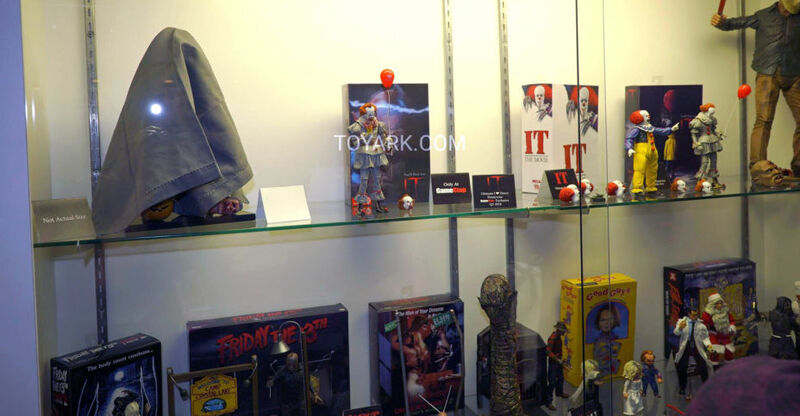 NECA dropped in a bunch of new items in their booth at San Diego Comic-Con 2017. Includes an all-new line of Guillermo Del Toro movie figures, a new God of War 4 figure, a TMNT update and more.